Indiana public colleges are nestled in the heartland of America offers its residents diverse educational opportunities. Surrounded by acres and acres of cornfields, farming plots, and natural beauty, you can study in surroundings that have gone unchanged for the last 200 years. But it is not all just farmland. Indianapolis is a major metropolis that can keep the city slicker in you entertained for hours. But the farmer in you can also take advantage of the excellent agriculture and mining degree programs that Indiana has to offer. Major sections of Indiana's economy include agriculture, biomedical, energy products, manufacturing, and pharmaceuticals. Looking for an Indiana Public College? The state has several urban centers, the largest of which is the capital of Indianapolis. Its public and private schools are overseen by the Indiana Commission on Higher Education, which was founded in 1971 to define the educational mission of the state's institutions, plan and coordinate a self-supported system of higher education, approve the creation of new academic programs, distribute student financial aid from state aid programs, and more. Indiana government and higher/secondary education system has a stake in either helping offset the cost of a college education, or helping students prepare for the rigors of study for a college degree. A good measure of how much Indiana government is helping subsidize a higher education is the percentage income it takes a family to send one of its members to school. The lower the percentage, the more Indiana is helping its citizens pay for higher education. The percentage of young and working adults who go to school in Indiana is also a good measure of how well Indiana education systems are preparing its citizens for a higher education degrees. The state of Indiana is home to two state university systems, the Purdue University System and the Indiana University System, both systems are among the largest in the United States, with the Indiana University System being the larger of the two. 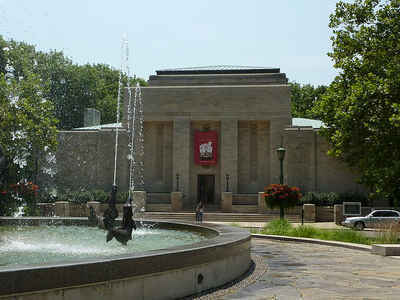 Indiana University is the most popular and largest state institution, the flagship campus of which is located in Bloomington. IU-Bloomington has received a number of accolades as one of the nation's top public universities. Indiana colleges and universities are a hot destination for international students as well-both Purdue University, Main Campus and Indiana University ranked highly in comparison to other international student enrollment figures of US schools. In fact, together the two schools have 13 campuses around the state including three Indiana University - Purdue University, Indianapolis joint campuses. Studies have shown that Indiana college graduates have a much larger earning potential than non-graduates. Attending a college or university in Indiana and earning a degree is an investment in your future, and you need to think about a college education in those terms to justify the expense for a degree.